OTTAWA - Opposition critics say they'll be scouring the fine print when the Conservative government introduces legislation Tuesday morning to overhaul Elections Canada. Chief electoral officer Marc Mayrand has long been calling for reforms, including tighter reporting rules on automated phone calls during election campaigns, penalties for impersonating election officials, stronger investigative powers and more protections for voter privacy. The government was poised to introduce a bill last April but balked at the last minute after Conservative MPs who were briefed on its contents objected to some of the measures. The latest version isn't getting off to a much better start. Pierre Poilievre, the minister responsible for democratic reform, told the House of Commons on Monday that he'd consulted with the chief electoral officer before the new bill was drafted. Poilievre labelled as "false" opposition accusations that he hadn't consulted with Mayrand. 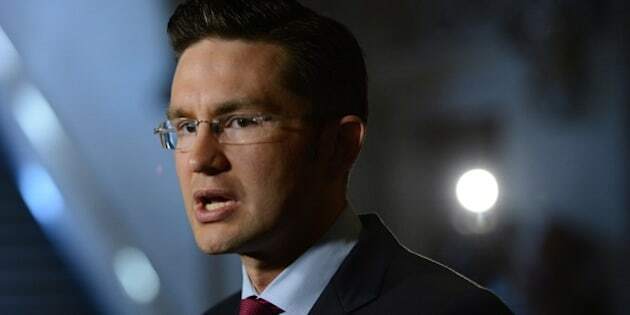 "I did meet with the CEO of Elections Canada some time ago and we had a terrific and a very long meeting, at which I listened carefully to all of his ideas," said Poilievre. Not so, Elections Canada confirmed just minutes later. "The chief electoral officer has not been consulted, and we heard the minister's comments," said spokesman John Enright. "There's been no consultation on the contents of the bill." Craig Scott, the NDP democratic reform critic, accused the Conservatives of taking "a completely bad faith approach" to the reform legislation. "What kind of game is Mr. Poilievre playing?" said Scott. "It could well be that he sat down with Mr. Mayrand for some kind of a courtesy, I'm-the-new-minister, you're-the-chief-electoral-officer meeting, and now he's trying to spin that as a consultation. This is not a good start." The Conservative party has had a difficult relationship with Elections Canada since at least 2006, when the elections watchdog caught the party over-spending its election campaign limit by more than $1 million through a scheme that laundered national ad buys through local campaigns. Poilievre led the government's fierce denials for years before the party finally pleaded guilty in September 2011, five years and two elections later. Ralph Goodale, the veteran Liberal deputy leader, said there's little evidence of good faith when it comes to the Harper Conservatives rewriting election law. "It's ominous ... given their track record with Elections Canada, which has been confrontational right from Day 1, and then resentful. It now may have moved to vindictive," said Goodale. "It's significant that they've prepared this (bill) without any serious discussion with anyone at Elections Canada. I think everyone would be well advised to read the fine print with a great deal of care." Goodale recited just some of the fractious Conservative history with the elections watchdog and said parliamentarians "all need to be very alert." "This could in effect be the gutting of Elections Canada." In TV interviews, on social media and in the Commons, Poilievre has recited the same promised benefits of the new legislation. "The fair elections bill will keep everyday Canadians in charge of democracy by putting special interests on the sidelines and pushing rule breakers out of the game altogether," the minister told the House. "It will close loopholes to big money, and it will give law enforcement sharper teeth, a longer reach and a freer hand." All parties seem to agree Elections Canada needs to be able to resolve investigations more quickly. There have been a string of confrontations between Conservatives and Elections Canada since 2006, including a continuing investigation of thousands of fraudulent robocalls made during the 2011 campaign in an apparent effort to suppress the vote. A Federal Court judge ruled last May that the Conservative party's tightly guarded voter database was "the most likely source of the information used to make the misleading phone calls." But Justice Richard Mosley ruled he could not overturn any election results because of lack of evidence that the scheme actually diverted non-Conservative voters away from the polls. Former Conservative cabinet minister Peter Penashue had to step down last winter over 2011 campaign financing irregularities and lost the subsequent byelection. Dean Del Mastro, Prime Minister Stephen Harper's former parliamentary secretary, has been charged with campaign offences back dating to the 2008 election campaign. And last spring, Elections Canada wrote to Commons Speaker Andrew Scheer requesting that two Conservative MPs — James Bezan and Shelley Glover — be suspended because they had failed to comply with campaign expense rules. Glover resolved her campaign spending issues through a compliance agreement with Elections Canada while Bezan is fighting the matter in court.